Promised to be the latest buzz in bingo, BingoBeez is run by a small group of on-line gaming pros, with a strong focus on customer service and the best in bingo games. Generous with prizes and bonuses, the BingoBeez site was launched in April 2009 offering a massive deposit bonus for all new players, as well as extra prizes such as video cameras and Ipods. The site is fun and welcoming, with a bee theme and plenty of cartoon bees buzzing about - but behind their fun images they offer a well-established bingo platform using software provided by Byworth. The site is easy to follow, although a little "buzz"-ey and has a quick navigation bar at the very top of the screen. The main page has animated quick links to all their games, information about the current bonuses, latest jackpot winners and more - with their mascot, the queen bee Bernadette, featuring predominately and offering to 'burn your debts' and 'sweeten up your recession'! You can even email her, if you wish! New players may find the site a little daunting at first, as there is a lot of information and loads to do and explore, but they have many features to help ease new players into the game such as a bingo glossary page and all the latest bingo lingo. All the popular bingo games are available, however, such as 75 ball bingo and 90 ball bingo and players can buy tickets from as little as 5p in their 'nickles bingo'. Bingo is not the only game on offer though, as the software also provides fun side games such as slots, pull tabs and keno - all with cash jackpots. As well as the generous sign up offers members can also earn bonus points on their deposits to the site (called "Bonus Bank Credits"), which can then be used to purchase some very snazzy goods in the online bingo shop. These include Ipods, cameras, jewellery, luxury food hampers, laptops and even the latest in top-of-the-range games consoles. Regular players are often invited to the VIBeez bingo club (for Very Important Beeze), which offers many extra bonuses and privileges such as extra bonuses, a direct line to a personal account manager and tickets to special prize draws. If you like loads of bingo competitions, extras and prizes, then you will love Bingo Beez. New competitions are always running, along with the free Beez Lottery, an on-line bingo shop and chat 24 hours a day. They also offer loads of bonuses for referring friends, depositing and frequently playing. In addition, they offer a quick "no secrets" cash-out policy without wagering requirements. A regular newsletter is also sent to all players, which keeps them updated on all the latest offers, winners and up-and-coming bingo events such as special games or the chances to win luxury holidays. Bingo Beez now has so much to offer as it is flash based and does not require any downloads of specialist software. The sign up bonus gives you ample opportunity to test drive the site and ongoing promotions are decent for the US market. At Bingo Beez you will be treated with 10 Bingo halls to choose from and they also offer their players the latest in instant bingo, slots and casino games. New registrants here will be gifted with a £10 free sign up bonus plus you can get an additional £5 free on their Face Book page. With a nice 350% first deposit bonus, a hefty 75% bonus on all redeposits and a whole load of promotional bonuses that are coming out all the time, you will always get more for your money at Bingo Beez. 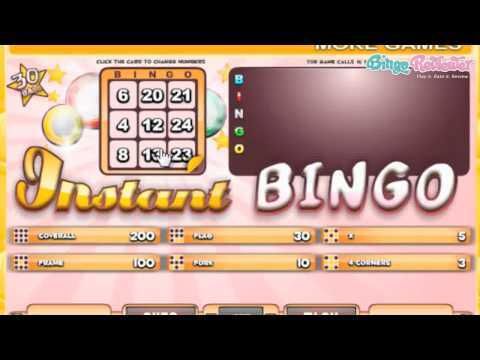 You can't go wrong with free bingo and they have lots of that here as well as cash prizes, BBs, gifts, vouchers and much more for the registered players to strive to achieve. And something you don't see often: NO wagering requirements. This is such a great deal and really simplifies things when you are dealing with cashing out. Byworth software runs the games on the site and if you have played at other Byworth sites you know your transactions and information are 100% secure and that your games will be fun and play well. Good luck winning nice prizes at Bingo Beez!